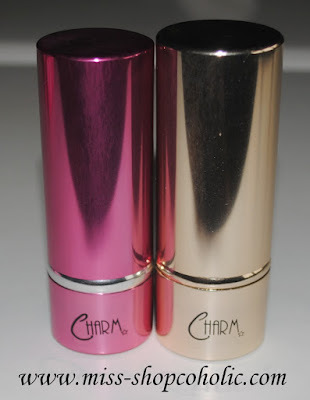 The pink one was given to me last year by my friend Yerra while Sophie gave me the gold one when I met her last month during her Cebu vacation. I can't believe I already own both colors of the retractable brush... I am really in love with them! 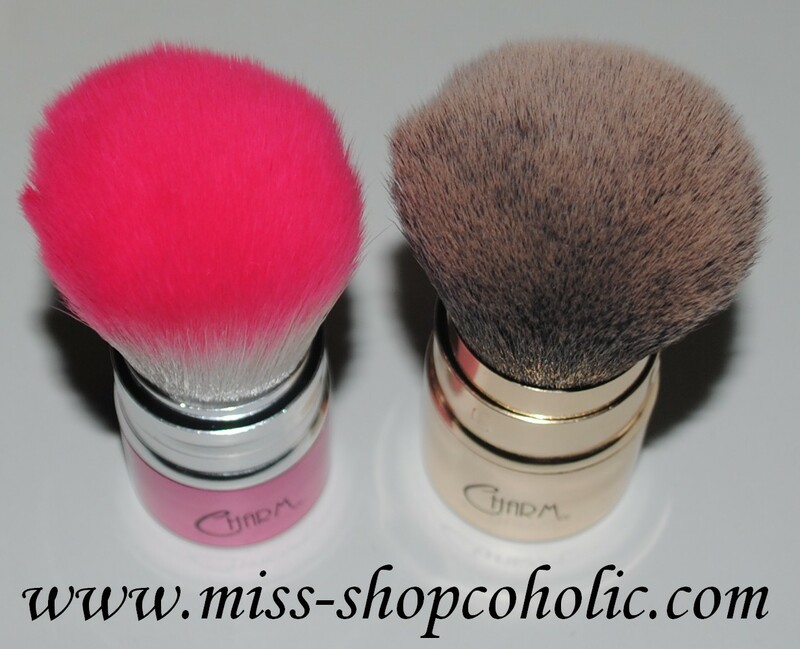 The brushes are uber soft and is made of synthetic vegan hair. 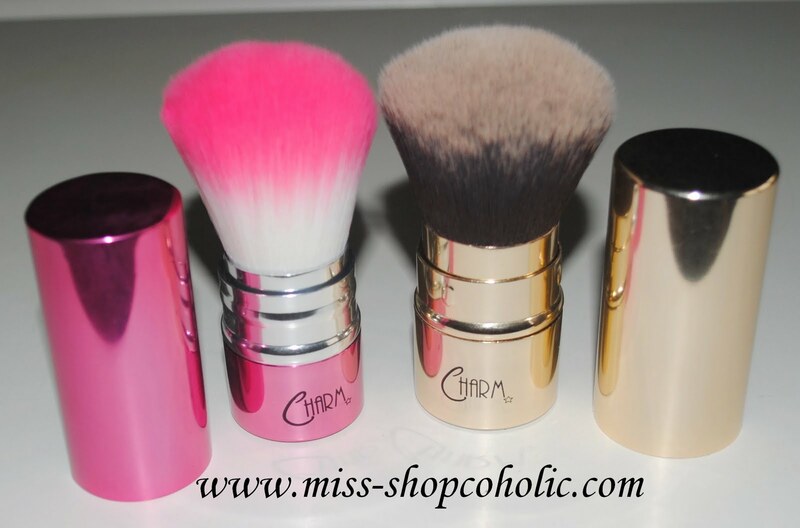 This is a multi-purpose brush that you can use to apply loose powder, powder foundation, pressed powder, blush and bronzer! 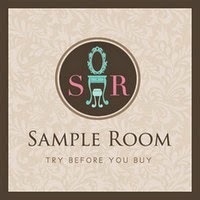 Click HERE to read my product review. For Cebu Residents you don't have to pay for shipping fees anymore. 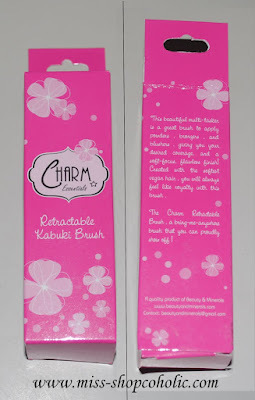 Charm Makeup Brushes are now available at Dolled Up Makeup Studio & Supply owned by Pearl Sarcauga of Dollface Cosmetics. Her store is located at Unit 103 Eden's place corner C. Rosal & Acacia Sts. Camputhaw Cebu City. Tel # (032) 412-4688. They're really soft and which reminds me of buying one. i've always wanted a travel brush like this because i don't like using the applicators that come with my compact, thanks! nice review!! one of my friend still use this brush because its so smooth!! awesome review khymmy! 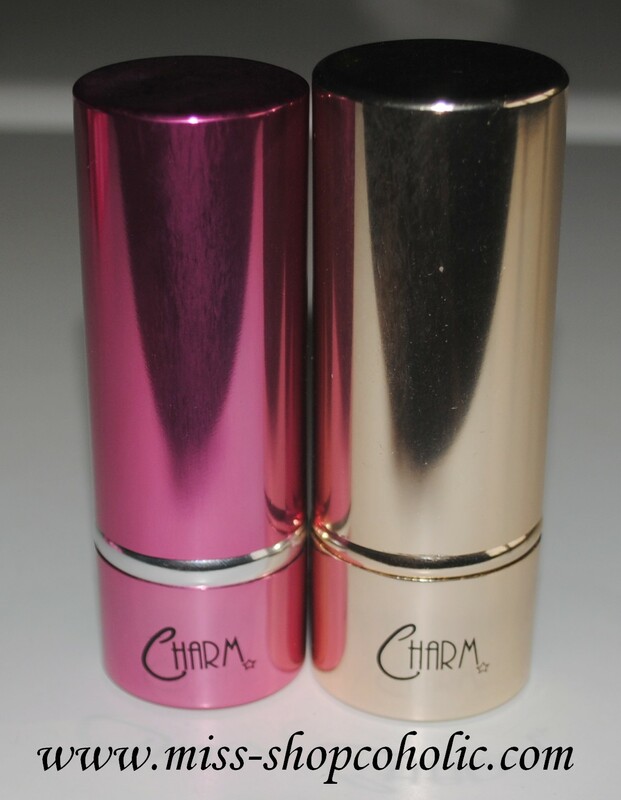 the gold one does look slightly bigger than the pink one. 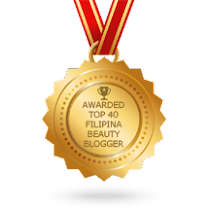 by the ways, i just awarded you here: http://beekyoote.blogspot.com/2011/09/blog-award.html !